Devil May Cry 5‘s official listings are live on the PlayStation Store, Xbox Store, and Steam – all of which mention online multiplayer for up to three players. It looks like Capcom wasn’t ready for this information to be revealed as its developers are keeping mum upon being quizzed at the Tokyo Game Show 2018. Director Hideaki Itsuno said something similar when Eurogamer spoke to him during the Tokyo Game Show. 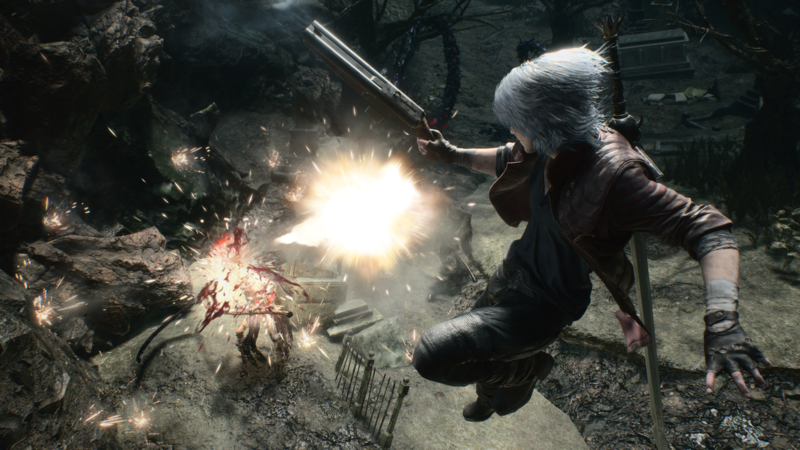 Speculation is rife that Devil May Cry 5 will come with a co-op and/or horde mode. With Tokyo Game Show coming to an end this weekend, it looks like we’ll have to wait a little for an official reveal.